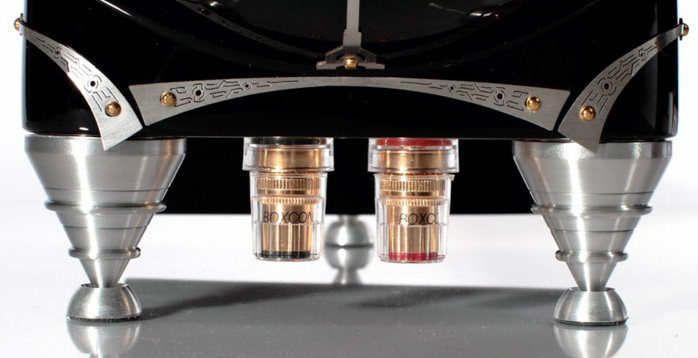 This review first appeared in the November 2010 issue of hi-end hifi magazine High Fidelity of Poland. You can also read this review of the Everything But The Box Terra II Pro in its original Polish version. We publish its English translation in a mutual syndication arrangement with publisher Wojciech Pacula. As is customary for our own reviews, the writer's signature at review's end shows an e-mail address should you have questions or wish to send feedback. All images contained in this review are the property of High Fidelity or EBTB - Ed. If their brochure is to be trusted, the speakers from Everything But The Box—EBTB for short—are unlike any you’ve seen before. And it’s true. On appearance, craftsmanship and specific requirements these will be something completely new for many music lovers. But it’s worth to try them. One might learn a lot from the experience. The Dobrev brothers Kamen and Dobromir founded the company in 2003 after having grown their spurs in the custom installation market. Their initial concept for entering the hifi market was different than it is in 99% of all cases. Our Bulgarians decided from the onset that the form factor of their designs would be unique. Different to so-called lifestyle products, it would be about form following function, not the other way around. The shape should be dictated by sound reasons. 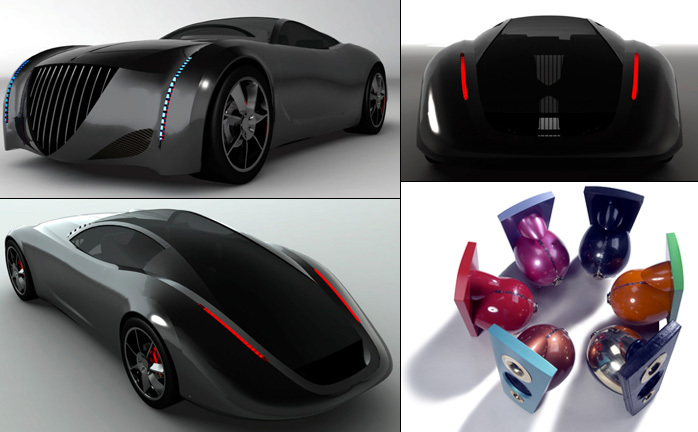 For the final industrial design, a special department within the company took over which became so successful that it went independent in 2008 with a portfolio that now includes a stunning electric car whose design was acquired by one of the majors. 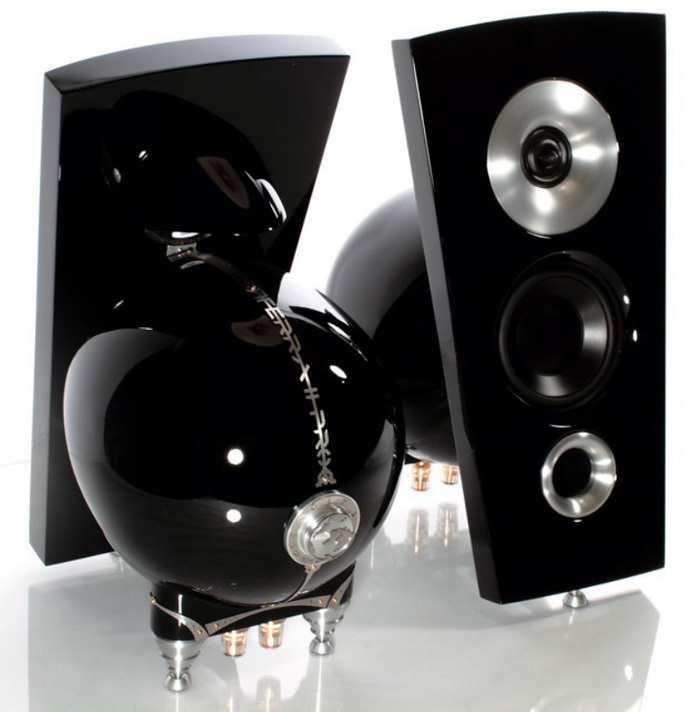 The EBTB catalogue includes six stand-mounted speakers, custom stands, wall mounts and a subwoofer. Every one of those models looks superb. The cabinets are a composite of MDF and epoxy resins and finished in any imaginable color just like luxury automobiles. Contrasting color combinations are possible with for example offsets between front and back. A surcharge can even apply real leather to the sphere. The futuristic metal trim is always laser-cut stainless steel. Today’s Terra II Pro tester is a two-way stand mount with high-class transducers and a signature look which combines a slanted front baffle with a mid/woofer sphere. The ring radiator tweeter mounts to the baffle without a rear chamber, just a metal lip and loads to the room through a short aluminium flare as does the bass-reflex port. The final result looks very unique. 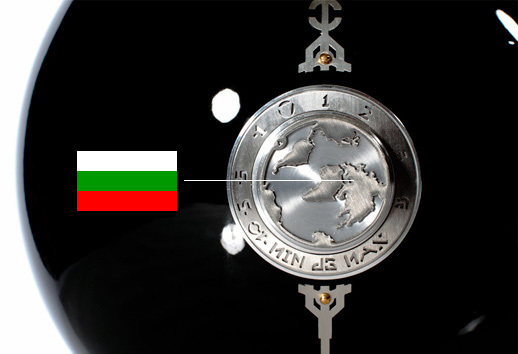 EBTB manufactures everything in their own Bulgarian factory. The Bulgarian fashion statements not only look out of the ordinary, they also sound slightly different and most of all require a different approach chiefly in how they’re set up within a room. These are near-field monitors in the full meaning of that definition. On one hand they’re precise enough to fulfil the recording studio monitoring requirements for live sound tracking, mastering and post production work; on the other they have to be placed far closer to the listener than usual. Usually recording monitors are placed just above a mixing console 1 to 2 meters from the sound engineer. They’ve been ubiquitous in studios since 1978 when Yamaha introduced the NS-10 with its characteristic white mid/woofer diaphragm.